Thomas Grenville, 1453-1513. 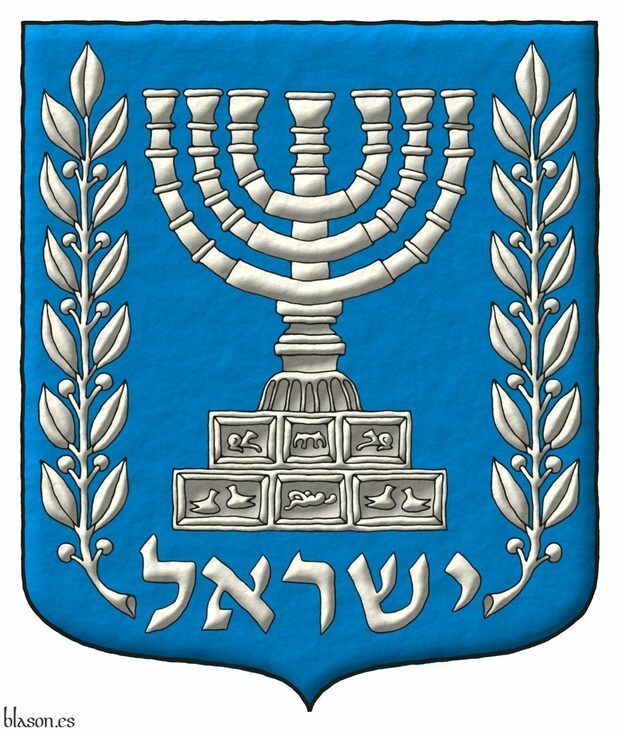 Hiltmann, T.; Hablot, L.; et alii; 2018. Sable, three Towers Or. Torsten Hiltmann, Laurent Hablot, Marc Gil, Matteo Ferrari, Luisa Gentile, Oliver Fearon, Andreas H. Zajic, Martin Roland, Steen Clemmensen, Radu Lupescu, Anne-Sophie Bessero-Lagarde, Tanja Jones, Alessandro Savorelli and Jean-Christophe Blanchard, «Heraldic Artists and Painters in the Middle Ages and Early Modern Times», colection Heraldic Studies, volume 1, 236 pages, with illustrations and photographs in black and white and color, edition with some articles in English and other in French, dimensions 16.90 x 2.00 x 24.40 centimeters, edited by Torsten Hiltmann and Laurent Hablot, publication funded by the Volkswagen Foundation, by the 4th Section of the EA SAPRAT (Ecole Pratique des Hautes Etudes-Paris Sciences et Lettres) and by the CESCM (Centre d’Études Supérieures de Civilisation Médiévale de Poitiers), published by Jan Thorbecke Verlag, ISBN 978-3799512534, Ostfildern, Germany, 2018. 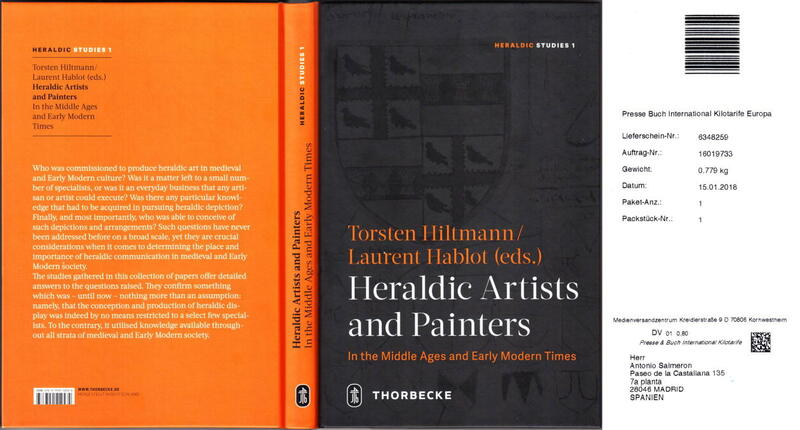 «Arms and Art in the Middle Ages; Approaching the Social and Cultural Impact of Heraldry by its Artisans and Artists», article in English, pages 11-23, Torsten Hiltmann, Munich, Germany. «Art, Esthétique et Productions Héraldiques au Moyen Âge; Considération Générales», article in French, pages 24-40, Laurent Hablot, Paris, France. «Peinture d’Armoiries, une Activité Parmi d’Autres du Peintre Médiéval?», article in French, pages 43-55, Marc Gil, Lille, French Flanders, France. «Au Service de la Commune; Identité et Culture des Peintres Héraldistes dans les Villes Italiennes aux XIIIème–XIVème Siècles», article in French, pages 56-75, Matteo Ferrari, Poitiers, France. «Artistes, Hérauts et Héraldique de Part et d’Autre des Alpes Occidentales», article in French, pages 76-94, Luisa Gentile, Turin, Italy. 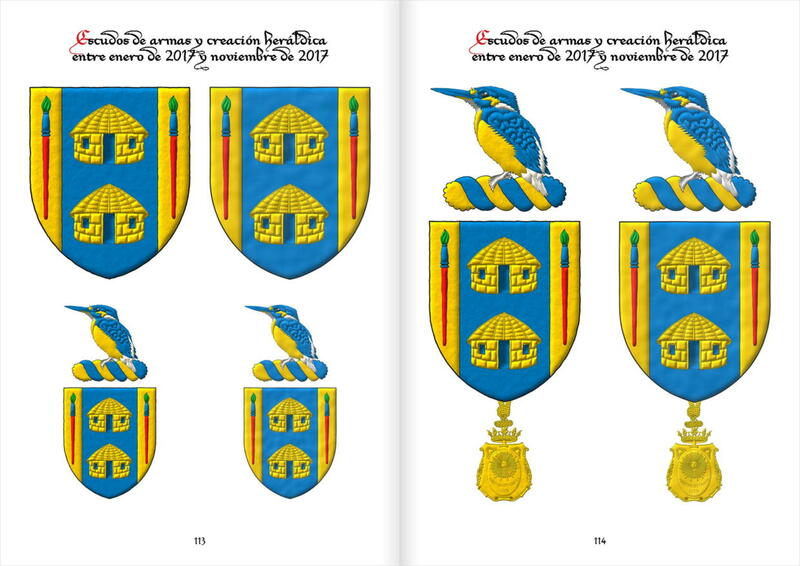 «As Yt Ys Made; Gender and Description in Plans for Armorial Displays by the English Gentry c. 1460–1500», article in English, pages 97-112, Oliver Fearon, York, United Kingdom. 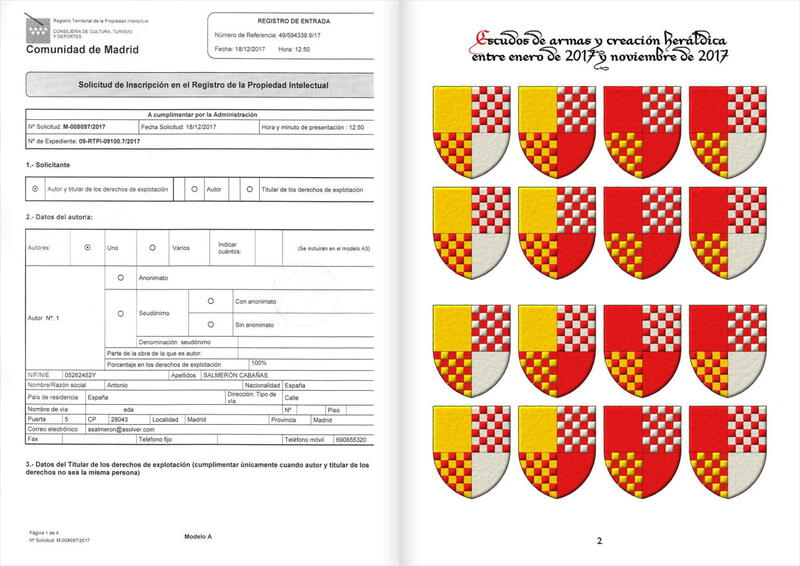 «The Influence of Beneficiaries on the Artistic Make-up of Imperial Grants of Arms or: How Do Heraldic Images Get into Late Medieval Charters?», article in English, pages 113-132, Andreas H. Zajic, Vienna, Austria. 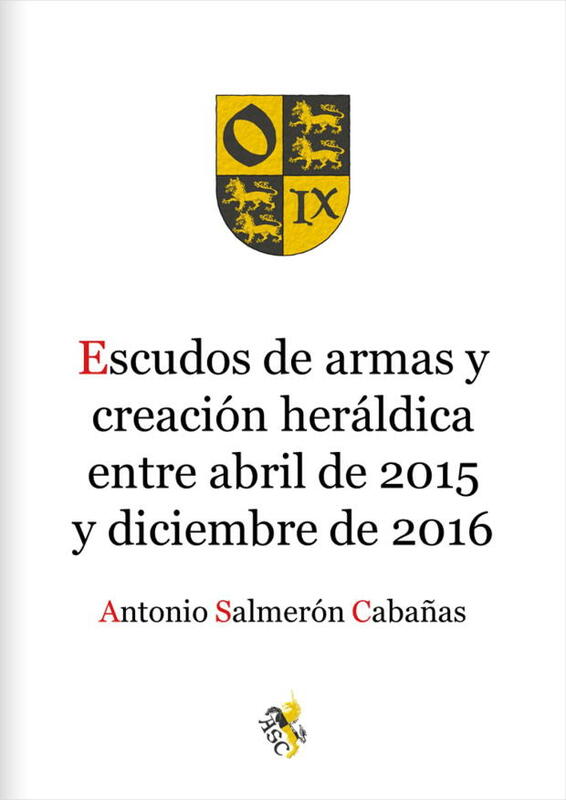 «Medieval Grants of Arms and their Illuminators», article in English, pages 135-155, Martin Roland, Vienna, Austria. «Armorials as Commercial Ventures?», article in English, pages 156-166, Steen Clemmensen, Farum, Denmark. «Heraldic Commissions in an Architectural Context; Case Studies from Transylvania», article in English, pages 167-178, Radu Lupescu, Cluj-Napoca, Romania. «Les Auteurs des Pompes Funèbres Héraldiques à la Renaissance; Artistes de Renom, Associations de Peintres et Ateliers Spécialisés», article in French, pages 179-189, Anne-Sophie Bessero-Lagarde, Paris, France. 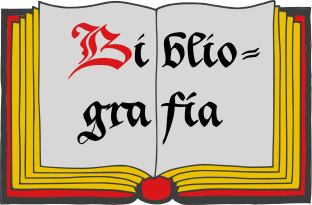 «Vivified Heraldry; On Pisanello’s Medallic Imagery», article in English, pages 193-206, Tanja Jones, Tuscaloosa, Alabama, United States. «L’Héraldique des Della Robbia à Florence entre Abstraction et Naturalisme», article in French, pages 207-221, Alessandro Savorelli, Florence, Italy. «Georges Gresset, Peintre et Héraut d’Armes des ducs de Lorraine, 1523–1559», article in French, pages 221-235, Jean-Christophe Blanchard, Nancy, France. Classification: English language, French language and Black and white and color illustrations. Heraldic Artists and Painters at Heraldica Nova. 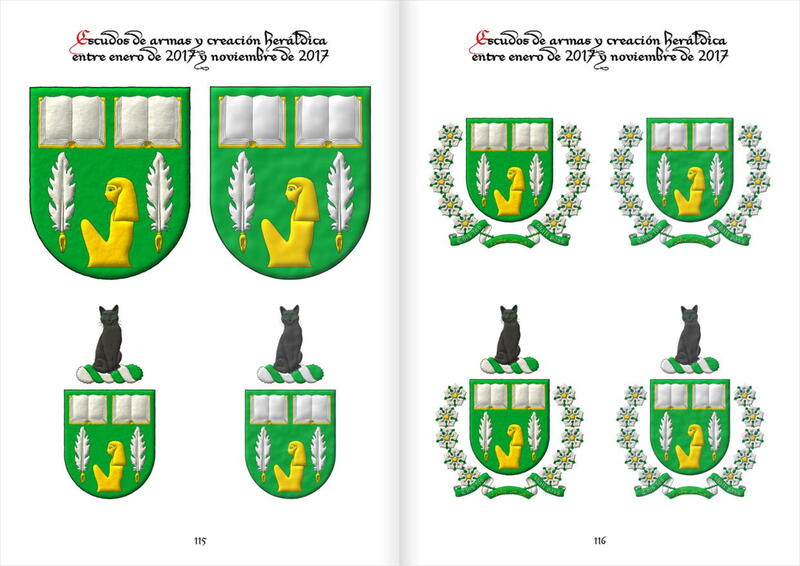 Antonio Salmerón Cabañas, «Coat of arms and heraldic creation between January 2017 and November 2017», paintings registered in the Intellectual Property Registry of Madrid, 116 pages with 474 colour illustrations of coats of arms and other heraldic objects, request code M-008097/2017, Madrid, 18th of December of 2017. 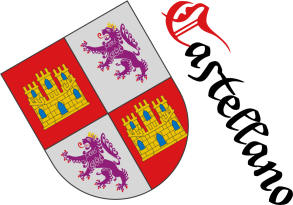 The author is Salmerón Cabañas, Antonio. Sigue por: de Pando Villarroya, J. L. P. V.; 2006. Riddle, Watercolor, Iridescent, Pointed and rounded, Azure, Bibliography, Horse, Clarion, Outlined in sable, Dictionary, Dragon, Black and white and color illustrations, Coat of arms, State of Georgia, State of Israel, State of Ukraine, Georgia, Grenville, Thomas, Gules, Illuminated, Imaginary, Interpreted, Israel, Castilian language, French language, English language, Menorah, Soft metal, Nimbed, Or, Argent, Without divisions, Civic, Intellectual property, Kingdom of England, Sable, Saint George, Century XXI, Tower, Freehand, Three, Trident and Ukraine.